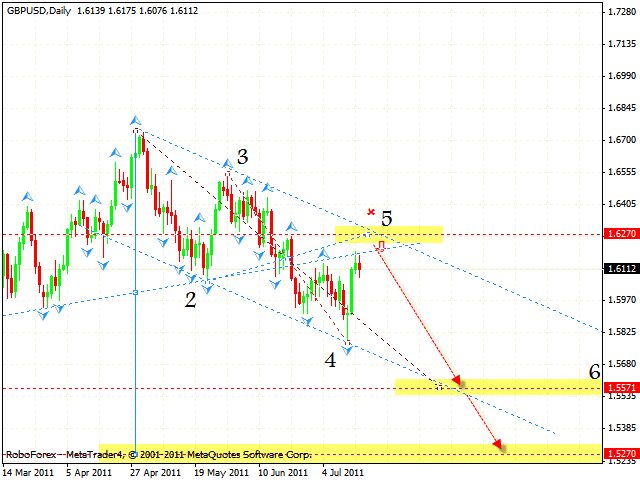 In case of EUR/USD currency pair we have “flag” pattern forming, which is a pattern of continued trend. The target of the growth is the area of 1.4127. However, one can consider buying the pair only after the price leaves the descending channel. We should expect a descending trend to start from the level of 1.4120. Pound is testing the broken neckline. 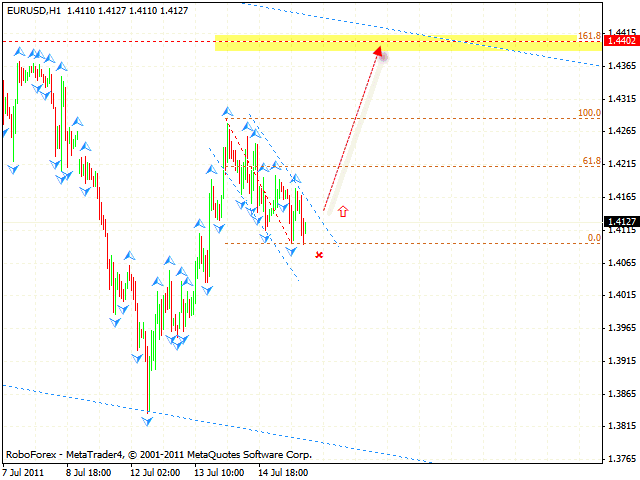 We should expect the pair to grow into the area of 1.6270, where one can try to sell it with the target of 1.5571. The final target of “head & shoulders” reversal pattern is the level of 1.5270. One can consider selling Pound when the price forms reversal patterns at shorter periods of time. If the price grows higher than 1.6400, this case scenario will be cancelled. 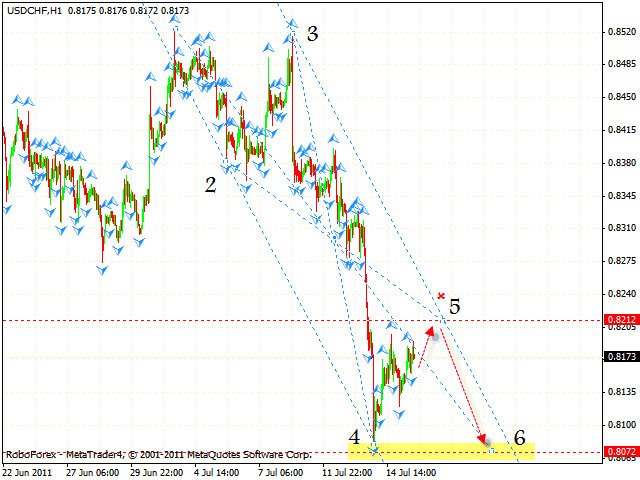 Franc is moving inside the descending symmetrical pattern with the target in the area of 0.8072. One can consider selling the pair either at the level of 0.8212, or during the test of the descending channel’s upper border. But if the price leaves the channel, this case scenario will be cancelled. In case of AUD/USD currency pair we have upside down “head & shoulders” reversal pattern with the target in the area of 1.1057. One can try to buy Australian Dollar with the tight stop. But if the price falls lower than 1.0610, we should stop buying. One an consider increasing the amount of long positions only after the price breaks the neckline. 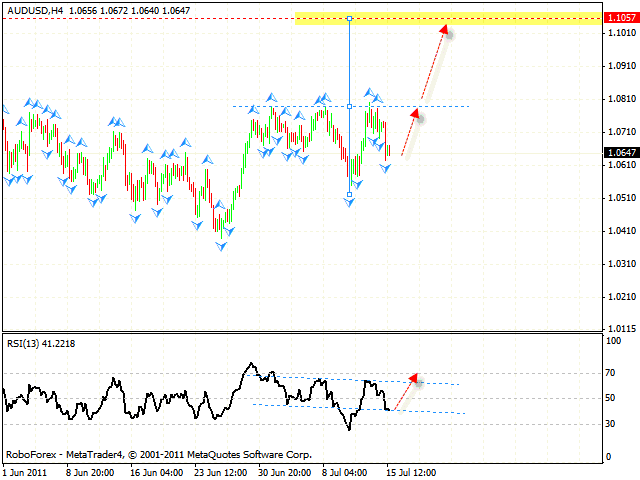 The price forming similar pattern at the RSI is an additional signal to buy the pair.